Prophetess/Evangelist Ora Holloway received Christ as Saviour at the early age of sixteen and became a member of Cunningham C.O.G.I.C, Clarksdale, MS, under the leadership of Elder J. M. Allen, until she married and moved to Chicago, Illinois, where she became a member of Greater Temple C.O.G.I.C under the leadership of Elder Timothy Welch. In prayer God spoke to Holloway and said, “Teach and Preach my Word.” To further equip her for ministry she attended Moody Bible College completing studies in Biblical Studies and Evangelistic Outreach. With a strong mantle of spiritual warfare on her life she later moved her membership to Crusader’s Ministry, Chicago, Illinois under the leadership of Apostle Darrell O’Neil for more spiritual warfare training. The family later moved from Chicago to Joliet, Illinois where she became a member of New Canaanland Christian Church, under the leadership of Pastor Lonnie E. Posley, where she served for over ten years and was ordained a prophetess in December 1998. 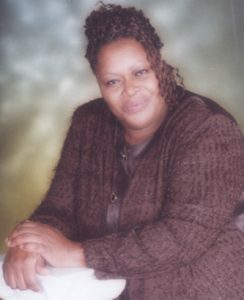 Desiring to be more grounded in the prophetic she attended Antioch Christian Assembly, Joliet, Illinois where she received a ‘Intercessor’s Boot Camp certification of completion, and the Tulsa Prophetic Forum Certificate of Achievement, “Preparation for Contemporary Prophetic Service”, June 2010. She also received the “Oscar 2011 Winner, “You Rock-Doing Good In The Hood” Award and “ A Call To Serve Award” for strengthening families and communities. Holloway have served in ministry for over twenty-five years motivating, reviving, igniting and restoring believers, and have a concentration on building strong churches of prayer and communities. As a prayer coach she carries a strong prophetic priestly anointing to usher in the presence of God which transform spiritual climates alone with an evangelistic anointing, which releases the captives, break yokes and destroys strongholds. Holloway has worked as a para-minister with other ministries for over fifteen years, and has served in various capacities as a ministerial leader to Pastors, intercessory prayer leader, teacher and evangelistic outreach minister. Her overseer is Dr. Mildred Harris God First Church, Chicago, Illinois. Prophetess Holloway is a resident of Joliet, Illinois, a suburb about 40 miles south of Chicago. She is married and the mother of two daughters.